You get reimbursed for upgraded boarding at the gate, not early bird check-in. They are two totally different things. It works, and you get credited as soon as the transaction posts to your account. Also, isn't that for the Priority card rather than this one? 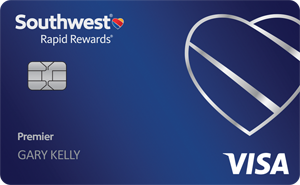 I originally applied for this card to help my daughter earn some rapid rewards points. I honestly was not expecting to get approved. Approval came back quickly with a $4500 CL. I earned my 40K rapid rewards points about a week after hitting the $1000 spend within 90 days. My daughter earned her referral points about a week after I got my approval. Will continue to keep this card in my arsenal. Wow what was your score?